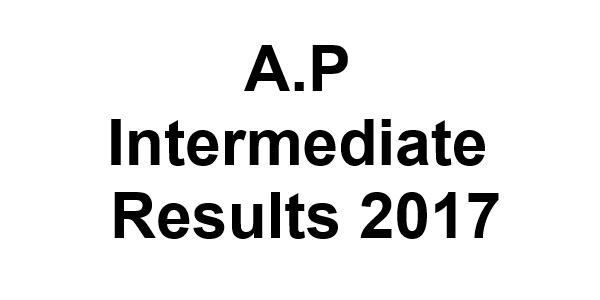 The A.P Intermediate Results 2017 will be declaring on 13th April 2017. You need to enter the roll number or name to check your subject wise scorecard will appear on the screen. According to official resources, the BIEAP Inter Exam results for 1st Year and 2nd Year will be uploaded on mention above date as the board secretary declaring The A.P Inter Results in 2017. Board of Intermediate Education, Andhra Pradesh is also known as BIEAP.Andhra Board was established in 1953. The Head office of AP board is located in Hyderabad. Large numbers of Private and Government schools are affiliated under the AP Intermediate Board. A Large number of Students completes their school Education from the Andhra Pradesh Board every year. The main motive of Andhra Pradesh Board to improve the level of education in the Andhra Pradesh State. As per the official notification from the Andhra Pradesh Intermediate Board, a total of 9,93,891 students appeared for the Intermediate Board Exams for both 1st and 2nd year. The AP 12th Board Exam for 2nd Year Intermediate students was conducted from 2nd March till 18th March 2017. Whereas, the AP 1st Year Exam started on 1st March with a language paper and continued until 18th March when the last paper of Modern Language / Geography was held. However, due to the MLC elections in the state, 2nd-year intermediate exam papers for Mathematics Paper - II B, Zoology Paper - II, History Paper - II were rescheduled for 19th March 2017. A large number of candidates enroll for the BIEAP 12th Class Exam 2017 for the session 2016-17. Board is conducting the AP inter Examination in the month of March / April every year. After the examination AP board will be announced the Andhra Intermediate Results 2017 in the month of May / June every year. All the candidates will be got their Andhra Inter (1st/2nd Year) Results by using their Roll number / Admit card. They take a hard copy of their AP 2nd year results for future use. For the official website to get results go through bieap.gov.in and results.cgg.gov.in.We provided all the details of AP intermediate Exam Results 2017 on our website; candidates need to visit this page to get the latest updates.